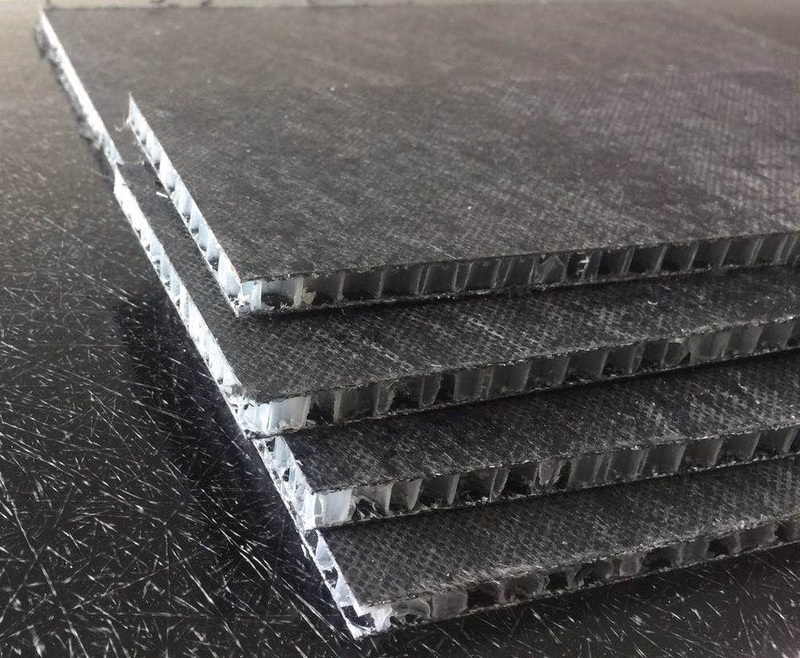 GMT(Glass-mat-thermoplastic) can be heat laminated with PP honeycomb core to produce GMT honeycomb sandwich panels, which is cheaper than CFRTP sandwich. After the efforts of our technicians, we used our new lamination machine to successfully produce GMT honeycomb panels in a commercial way. The GMT honeycomb panel is normally 6 to 12mm thick, widely used as car trunk cover boards, or replace CFRTP skin where the cheap surface is needed.